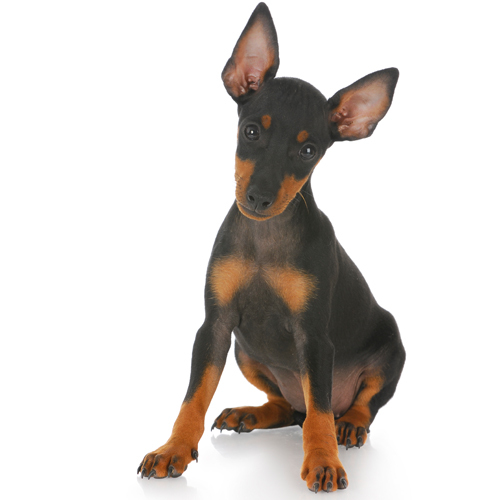 Often referred to as a “min pin” this breed of pup is an active dog and curious about everything. They are a good family dog and are quite affectionate with his family. Min pins are bold and bright and make a great companion dog. They are agile, trainable, and with a famous — or infamous — sense of humor. This little pup will be eager to participate in family outings, long walks, and organized canine activities such as agility and obedience. But the real secret of his success as a pet is his deep love and loyalty for his owner.